This select gated community in Benahavis, comprises 14 contemporary-style luxury villas built on an elevated plot with panoramic views of the surrounding golf courses, the countryside and the Mediterranean sea, just a few minutes from daily amenities. The charming Benahavis village, Estepona town as well as Puerto Banus and Marbella are all within easy reach. The development offers 3 different types of 5-bedroom villa designs, all to be constructed using the best quality materials and environmentlly friendly technology. 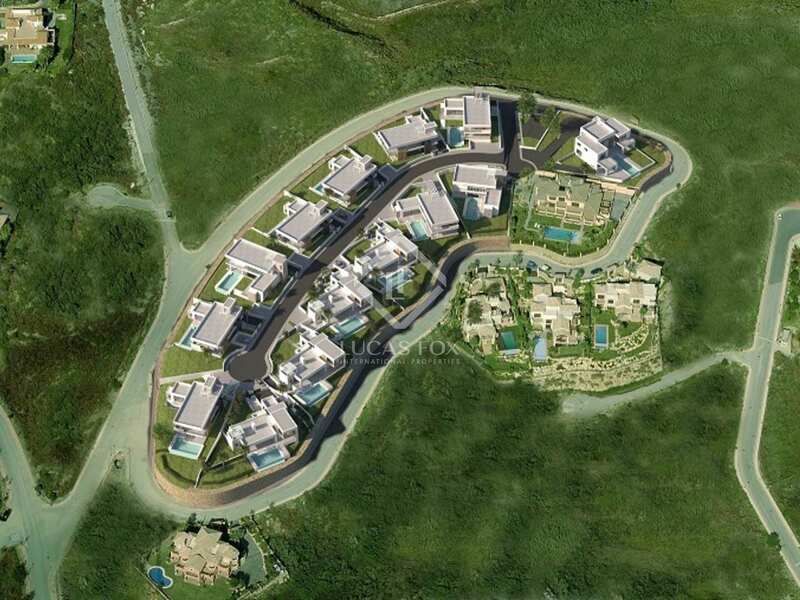 Each villa will feature individual salt water swimming pools, landscaped gardens and ample terrace areas.